Charlie Nicholas has included Wolves midfielder Ruben Neves in his list of players he believe could win Premier League Player of the Year. The Sky Sports pundit says that he has really enjoyed watching the 21-year-old so far this season for Wolves, and labelled him as a “surprise package” in the list of three players he has been impressed with, which also includes Virgil Van Dijk and Raheem Sterling. He adds that the Wolves star deserves to be spoken about after the way he has impressed audiences this term. “I have really liked Ruben Neves in particular for Wolves. Neves merits a conversation the way Wolves have played and he has been fabulous,” he told Sky Sports. Not many people would include Neves as a contender for Player of the Year due to the amount of quality that the top-six clubs possess, so he is certainly a “surprise package” as Nicholas has pointed out. However, he is right to include the young ace in his list. He is a player that often goes under the radar due to the midfield stars we see for the likes of Manchester City, but like Nicholas has highlighted, he has been fabulous. 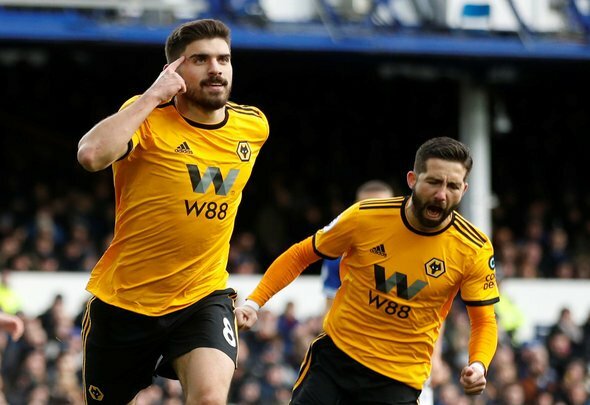 Neves has been a pivotal part of Wolves’ success this season and you would have hardly guessed that he was playing in the Championship last term based on the talent that he has. Wolves would arguably be rather lost without him bossing their midfield, and they are extremely lucky to have a player like him on their books. They will have to be wary in the summer though, as there is no doubt that a number of clubs would have liked what they have seen this year. One thing is for sure though, plenty of fans will be drooling after hearing this claim about their star asset.